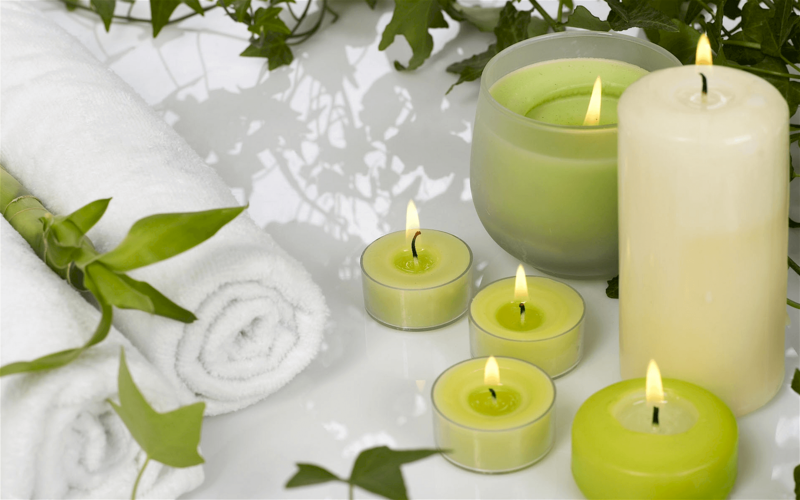 Radiant Hands Healing is a bodywork and massage practice that emphasizes whole-body wellness and healing. The practice is located at The Barefoot Haven in the heart of historic Greendale, Wisconsin. We offer classic modalities of massage therapies for clients of all ages and genders. We offer three practice techniques: Therapeutic, Relaxation, and Wellness. Therapeutic massage includes Myofascial Release, neuromuscular therapy, and stretching. Relaxation techniques include Swedish massage and Reiki energy work. The Wellness modality brings in the use of therapeutic-grade essential oils and the Young Living Raindrop Technique. Warm Basalt Stones are used in all sessions to warm and loosen tight and painful muscle tissue for deeper release, and to increase circulation for rapid healing. Massage aids in the treatment of anxiety and depression as it reduces levels of the stress hormone cortisol. Lowering cortisol produces lifted spirits and often lower blood pressure. It can also help to boost the neurotransmitters serotonin and dopamine, and it works without the use of medications. Many headaches are caused by excessive muscle tension, so it stands to reason that reducing that muscle tension will reduce the resulting headache. It’s true, and studies show that the relief can be long-lasting, especially when combined with other relaxation techniques such as meditation. The secondary benefits of Massage Therapy for Stress Reduction are also beneficial for ailments that seem unrelated to our normal, everyday stressors. Things such as lower back pain, jaw pain, insomnia, and arthritis, to name a few. This is the big one in our practice. 8 out of 10 Americans experience debilitating back pain and, according to a 2011 study reported by TIME.com, massage helped people in pain feel better and function better. Studies have linked massage to better functioning of the immune system. In one 2010 study, researchers found massage increased a person’s disease-fighting white blood cells. The stress-reducing powers of massage can also help keep you healthy. Sleep deprivation is the insidious thief of many people’s lives. Lack of sleep accounts for many workplace and traffic accidents, poor judgement, and diminished critical thinking in professions that demand a sharp mind. Studies examining the link between massage and enhanced sleep effectiveness have concluded that, among other things, the effect on delta waves promotes this nourishing result. No matter how much you enjoy what you do, there are still stresses and tensions in everyday life that take a toll on your mind and body. Massage Therapy can help reverse the damage done by this stress, and do it drug-free. Massage does more than just relax your mind and relieve tired muscles; it restores function and allows you to do more without NSAIDs or other medications. At Radiant Hands Healing, you can expect a warm greeting, a comfortable environment, and a customized session focused on your immediate needs. Prior to the session, we’ll discuss your current health conditions, areas of stress and pain, and concerns you may have so that you can receive the maximum physical and emotional benefit every time. Check out our various practice modalities here. How much does it cost? Our prices are exceptionally competitive with bodywork practices in and around the area. Our clients tell us that they receive extraordianry value for the healing relief that we provide. We often run special deals (that sell out fast), so check out and Like our Facebook Page to keep abreast of those deals. 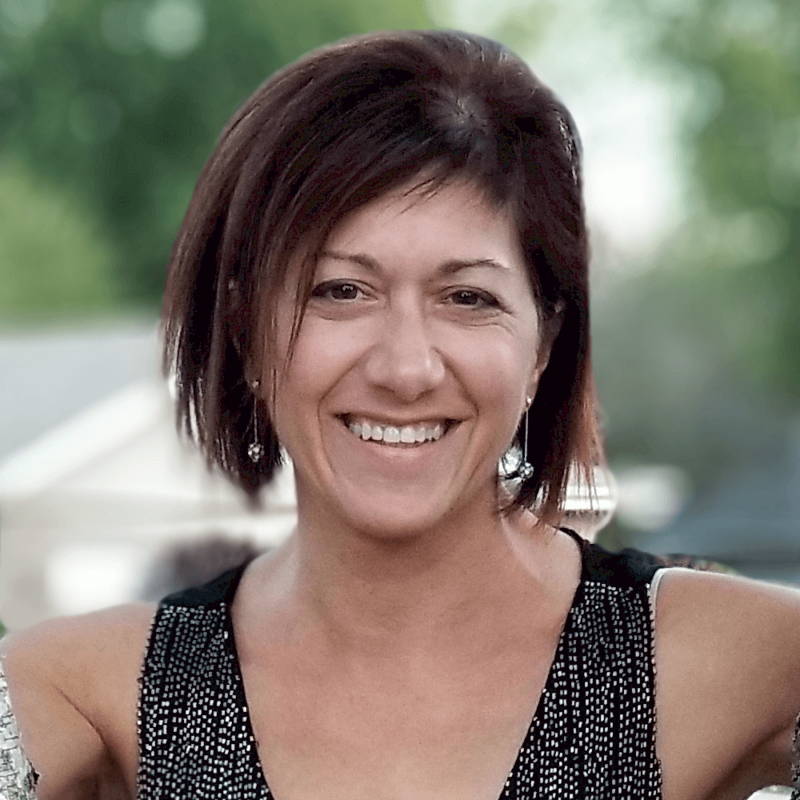 Lara is a 1994 graduate of the Blue Sky Massage School and is licensed to practice in the State of Wisconsin. She is a specialist in creating sessions based on a client’s needs for both relaxation and diverse therapies. Lara works with all ages and uses Intuitive Bodywork and Reiki inside the modalities of Swedish, Therapeutic and Prenatal massage as well as Myofascial Release. She has worked in a variety of clinic and spa settings. MacKenzie graduated from Lakeside School of Massage therapy and is a Massage Therapist licensed to practice in the State of Wisconsin. With a strong interest in deep tissue and sports massage, she enjoys customizing every massage based on her patient’s needs. She works hard to improve the activities of her client’s daily living with each session. MacKenzie has experience in Swedish, Trigger Point, Deep Tissue, and Pregnancy massage techniques, and has practiced in both medical and spa settings. We also serve many of the surrounding communities such as Franklin, Greenfield, St. Francis, Cudahy, South Milwaukee, Oak Creek, West Allis, and more. A partial or full body massage with light to moderate pressure using smooth gliding strokes. This classic stress-relieving massage promotes relaxation, eases muscle tension, and creates other health benefits. 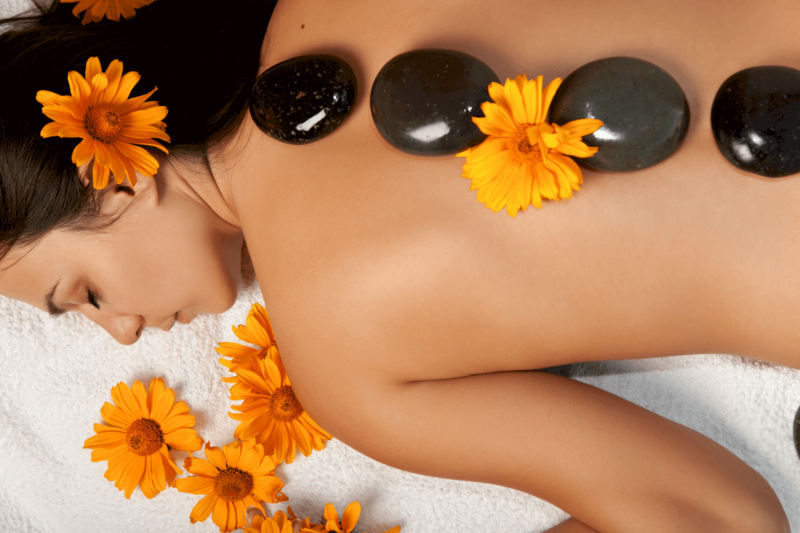 Session includes the use of hot basalt stones and aromatherapy. This partial or full body massage with moderate to deep pressure targets specific painful areas, injured muscles, or fascia. Myofascial Release is used on connective tissue to increase circulation, release tension, and unwind trauma in the body. Trigger-point and neuromuscular therapy techniques are also used to increase flexibility and mobility to muscles and joints. Session includes the use of hot basalt stones and aromatherapy. Designed to remove severe tension, deep tissue massage is a technique used to relieve both muscles and the connective tissue below the surface. It also helps to improve range of motion and heal injuries. Session includes the use of hot basalt stones and aromatherapy. This style of massage uses a variety of techniques on specific muscles and their attachment points. It is designed to help your body become more flexible and to promote healing. It is particularly great for those with active lifestyles. 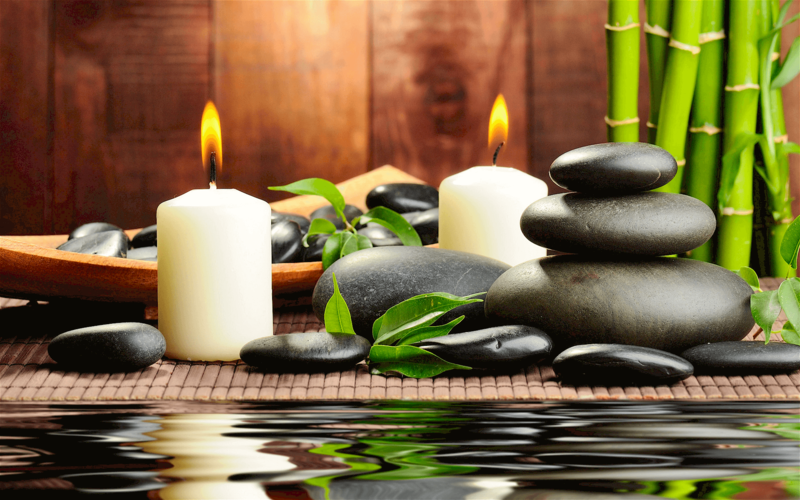 Session includes the use of hot basalt stones and aromatherapy. Every expectant mother deserves this comfort monthly throughout her pregnancy. Pregnancy massage benefits include relief of aches and pains, decreased leg swelling, and comfort during the physical and emotional stress of pregnancy. To keep both mother and baby safe and comfortable, we use a specialized pregnancy table which allows the client to lie face-down, plus many pillows for side-lying positions. The practice of Reiki is defined as universal or higher power (Rei) and life-force energy (Ki). Reiki is a natural Japanese healing technique that is administered by placing hands lightly on or slightly above the client’s body, while the client is lying comfortably fully clothed on the massage table. This modality treats the whole person including physical, emotional and mental, creating beneficial effects that include deep relaxation and feelings of peace, balance and well-being. Includes aromatherapy. Therapeutic-grade essential oils of the highest quality are dropped gently on the spine and bottom of the feet. This session is wonderfully rejuvenating, balancing and deeply relaxing. Combined with light relaxing massage and energy balance work, these oils have specific properties that support a healthy immune system and stimulate all the body’s systems on a physical and emotional level. Includes use of hot basalt stones on tight muscle areas. Our practitioners are skilled in every aspect of your care and are able to provide you with the relief and therapy that you need. Add essential oils to any session. $5 for single-note oils, $7 for blended oils, $15 for Raindrop Technique. Gift Certificates are available for purchase in various amounts. Young Living therapeutic-grade oils available for purchase at the studio. We accept cash, personal check, HSA check, HSA card, MasterCard, Visa, AMEX, or Discover. "MacKenzie gave such an amazing massage!!" … and relieves them with her healing hands! We use an external booking provider, MassageBook.com, to handle the scheduling of appointments. When you click a link below, you will be taken to that site in a new browser tab where you can complete the transaction. Cancellations. We understand that emergencies happen. In such cases, we would appreciate at least 24 hours notice if you can’t make it so that we can schedule someone else. We reserve the right to charge a $35 fee for no-shows, or for cancellations or reschedules within 24 hours of your appointment. Use the form below for general communication with us. Got something great to say about Radiant Hands Healing? Why not join the dozens of others who have written a review on Google and Facebook about our services. Click Here to start your review. And if you’re ready to book a service or order a gift certificate for that special person, just Cick Here to visit our booking section. Our main website address is https://www.radianthandshealing.com, and we are located in Greendale, Wisconsin. Our business is registered in the State of Wisconsin, and is owned by Lara J. Pfeffer, a Wisconsin-Licensed practitioner (Click Here for State license credentials). For users that may register on our website, we also store the personal information they provide in their user profile. All users can see, edit, or delete their own personal information at any time (except they cannot change their username). Website administrators can also see and edit that information. We are looking for a productive relationship with you, not just another pair of eyeballs. If, at any time, you don’t feel that you’re getting value from our association, we would like to know about it, if you so desire. And we wouldn’t blame you a bit if you unsubscribed to any of our communications.